Comme fidèle promoteur de la facilitation, je suis naturellement membre de l’Association Internationale des Facilitateurs (IAF). Ce mois-ci, dans le cadre de la newsletter mensuelle adressée aux membres uniquement, j’ai eu la chance d’être interviewé pour figurer dans la rubrique : facilitateur du mois. I live in France in a small picturesque harbour town called Honfleur, a 2-hour drive from Paris, where I travel to work much of the time. How long have you been a member of IAF ? I joined the IAF community in 2010 and completed my CPF certification in 2011 in Istanbul, Turkey. I co-founded the IAF Paris Chapter in 2012 that currently numbers 25 members. I have recently collaborated with the IAF Europe Representative team in organizing a learning expedition to Utrecht, Netherlands in September 2013, initiated by IAF Paris. Tell us a little about the organization you work for. What is its name ? What does it do ? I work for Formapart, a French company I created in 2009. We aim to enhance the passion, innovation, adaptability and profitability of our clients, which primarily include large-size private companies (>1000 people) for whom we build and facilitate collaborative solutions and deliver training in facilitation skills. 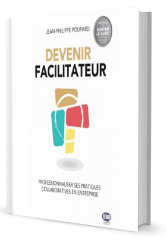 We were the first company in France to offer training in the specific field of facilitation and we now have seven different courses. 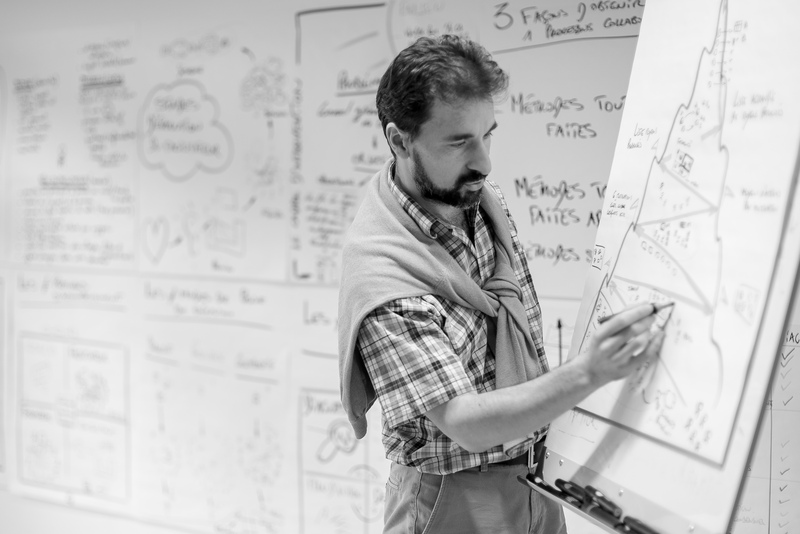 With graphic facilitator Roberta Faulhaber, we are also about to launch an ambitious online course in Facilitation for French speakers around the world. What are your jobs within the organization ? Nearly everything an entrepreneur has to do, but most of my work remains facilitation of conventions, seminars and workshops. I also train facilitators in public and on-site sessions. How do you use facilitation in your line of work ? Share a recent facilitation experience – what did you do, how did you do it, with whom did you do it ? I am currently preparing a convention for 280 managers of a French bank. What is the expected output? Sharing perspectives on necessary management developments, making concrete proposals, engaging managers in the change process. Constraints? Only enough of a budget to cover 2 or 3 facilitators (love these kinds of tricky challenges). So we are involving about 30 people from the client side to prepare the convention and the different workshops. We are training workshop facilitators and will supervise them during the convention, which takes place at the end of the month. If you could share one thing you’ve learned with other facilitators around the world, what would it be ? Keep connecting and working with other facilitators. One of our challenges is to adapt to the very different contexts of our clients. What used to work yesterday won’t necessary work today or tomorrow. We need to be able to continuously refresh our knowledge and practices. One of the very best ways to achieve this goal is to meet and work with different facilitators. For me, this is one of the most valuable benefits the IAF offers: to connect various facilitators from different professional venues with all kind of specialities from all over the world. Great stuff!